Why Did President Trump Really Fire General Michael Flynn? You are at:Home»Commentary»Why Did President Trump Really Fire General Michael Flynn? How many of you are still puzzled by the decision President Trump made to make Michael Flynn resign? 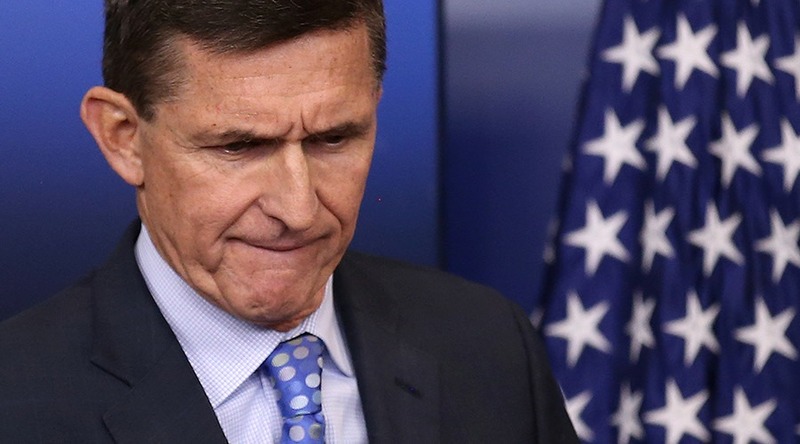 The publicly announced reason was that Flynn mislead Vice President Pence about discussing sanctions with the US Russian ambassador, Sergey Kislyak. Pence went out on the Sunday shows and said to the world that Flynn had not discussed sanctions on the phone call. But this does not make any sense as President Trump himself said Flynn should have been talking to the ambassador and that even if sanctions came up in the conversation there was nothing wrong with that at all. So why did Trump fire Flynn? Apparently, at a time when Trump himself was talking about ‘Draining the Swamp’ in Washington DC and that anyone who worked for the Trump administration could never be a lobbyist for a foreign country Flynn was being paid large sums of money to represent the interests of the Turkish government. This makes much more sense that Trump would fire Flynn after learning of this instead of that he mislead Pence over something that did not even matter. Trump knew that when this information went public it would create a firestorm in the media especially with all their phony talk of Trump-Russia collusion. It was logical for Trump to take this action when he did. Here at RightFace! we liked and supported Flynn. We still do! But perhaps Trump did not know what Flynn was doing with Turkey. Considering that he was actually doing something that Trump was totally against, lobbying for a foreign country he really had no choice but to let him go. Of course, this is just theory. Only Trump really knows why he let Flynn go. Ann Coulter: THE LEFT’S DIRTY LITTLE SECRET — CLEANED BY ROSA! Trump Approval Rating Jumps to 55%! Breaking! Secretary of State Tillerson Meeting With Russian President Putin! Illegal Border Crossings Down by 40% in Trump’s First Month! The Robots are Coming! You Can Run For Your Life…but They Will Catch You! RightFace! is all about the news and information you want and need to know. We are honored to be your trusted conservative news source. Please share our site with your friends, family and co-workers. Copyright © 2017 RightFace!. Powered by WordPress.